The INFP Search for Elysium. Wow. That stirred something in me, my latent thirst for adventure, for sailing away to new lands and starting my own civilisation. And then I was suddenly sad. There are no new lands to discover. People since time began have been expanding boundaries, exploring new lands. This has always been put down to expanding the empire or claiming new land for our country, or down to adventure. But then it hit me. The thirst for a New World is a chance to wipe the slate clean, build our worlds again, get rid of corruption, hate, and start again. Our own worlds are overcrowded and despicable. Then I looked to all of my hopes as a child. I loved Peter Pan, but not because of Peter, no, I never liked Peter. I loved Neverland. A new, magical land with lagoons and pirate ships and Skull caves and mermaids and tree houses. I loved Robinson Crusoe and his ability to make his own home from scratch. I loved the Swiss Family Robinson for the same reason: houses in trees, pools to swim in, exotic creatures, no people for miles. And the people that did invade were baddies, threatening their idyllic life. I loved the enthusiasm of the characters embarking on finding the New World in Disney’s Pocahontas, and how beautiful Virginia was portrayed as back then. But those thrills were momentary. The idyll of Native American Virginia was soon trampled in the name of the New World. Now shopping malls and highways lie where Grandmother Willow’s roots once stretched. There are no new lands to discover, and the advance in technology has only served to create one large culture, one office, one motorway, one shopping centre. We drink the same drinks, eat the same food, watch the same films. Culture is slowly combining into one and the thrill of seeing new lands will be empty. I’ve come to the conclusion that this is why we love the idea of space travel, of visiting the moon. It’s the chance to start again, if we can. We’ve exhausted our own planet trying to get away from each other, why not look elsewhere? This is the trouble I face every single day, and I wonder if it’s just me or if it’s common to every INFP. Nobody seems real in this world anymore. I just want to be nice to everyone, care for everyone, love everyone. But every time I try, the feeling is not reciprocated. The general wish seems to be to further oneself, to network over making friends, to take without giving, or at least, to give so much that one can take without anyone saying anything. One person said to me recently, ‘There is no such thing as a good deed. We are only nice to other people because it makes us feel better, all kind deeds are selfish.’ I understand the idea behind this, but I am nice even to people I cannot stand. Not because it makes me feel better, it doesn’t, I hate myself for it. I hate that I am giving so much and that I know full well that it will never be returned, that if I was dying, they would just step over me. But if I see them in trouble, I will help. Because I don’t want others to be in trouble. Maybe that is selfish. That I feel pained so much by other’s trouble that helping them relieves this. It doesn’t make me feel better, it just stops the pain of others suffering. Like taking paracetemol. And that always makes me feel sick. And I think that is very much an INFP thing, and I don’t think others will be able to understand that so well as us. So, is this the basis of my longing to travel to a New World? To get away from the hypocrisy of modernisation? Maybe. Most probably. 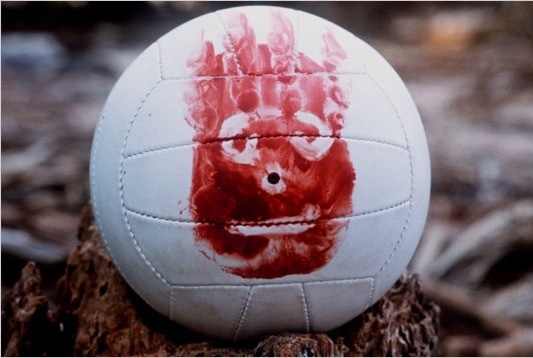 Wilson is a far better friend than many you may encounter today. I want to get away from people, away from the disease of technology. Yes, I’m aware of the hypocrisy seeing as I’m writing this on the internet, but the internet is as close as I can get to a new world. The sad thing is that recently I went on holiday to a beautiful and warm climate, to a place which you’d hope to be different. But it was the same. Everything is the same. There is nowhere left. I guess this INFP will have to continue to search for their Elysium. When you warn somebody about someone and they ignore you and get hurt.